I'm a relatively new fly fisherman, at it now for about three years, pursuing mostly trout in Wisconsin's spring-fed limestone creeks. If I peel back the layers of your commentary I think the argument you're making is that fly fishing is about fishing without indicators or split shot. Is that right? As a matter of course I have found that as I have more success I'm drawn more toward dries and streamers. I don't know why though. I suppose chucking a wooly bugger to the head of a pool feels a lot like chucking a night crawler on a spinning rod. It begins to feel like hunting with a blunderbuss stuffed with forks and knives. 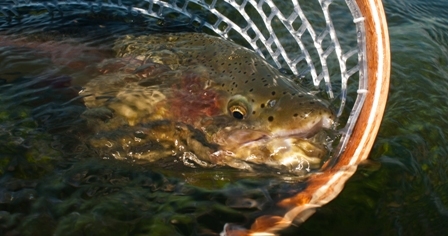 If you can entice a trout to come up and grab that hopper off the surface, you've really accomplished something. Is that the argument you're making? Or is there some more nefarious undercurrent happening in the world of fly fishing tackle marketing? Mr. Anderson: Thank you for your comments. It's not that I don't think that indicator have their place in fly-fishing, but since they've been around I've seen a rather significant deterioration in peoples all around skills. I want to challenge you and others so that you'll get more out of your day on the water. As much as i enjoy fishing with dry flies, I get even more out of my days when I'm challenged and on some of those days I don't even catch a trout. Those are the days the fish you remember the most. It's such a great sport and has so much to offer. I want you to try it all, learn what you can, improve your skills, have fun! I was raised with Fly Fishing, 4th generation in my family. I was taught to cast at the age of 8, as were my brothers, when Dad felt our arms could pitch the rather heavy Bamboo rods from the 30's that he owned. It was integral part of the food gathering process, along with upland and big game hunting we helped offset the cash spent at the grocer for 2 adults and 5 boys. Dry Fly's were my Dad's passion, cast to Brookies on the small streams of central New England. I can remember him in an old pair of low cut sneakers, his pants rolled up and a farmer t shirt wet wading up-stream on a warm July Sunday afternoon. Out of the 5 boys, only 2 took the sport to heart, and both of us live in the west now. Like you I have had the chance to travel, fishing alone at spots in the 70's and 80's, that are only now being called "cool". I have watched the changes, some good and some not so much. 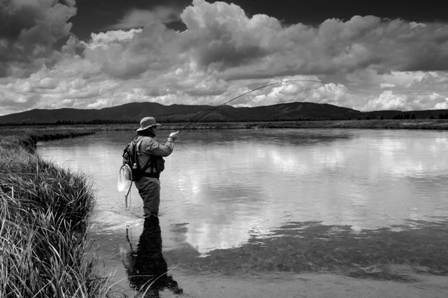 One thing I have realized is that Fly Fishing encompasses so much more than just the "sport" alone, for it is an "outdoor experience" that the art of casting to, and tricking a fish, is part and partial to. I probably spend as much time hiking and observing, listening and studying as I do angling on any one trip. I believe that this is at least some of what is lost in the sport today. I grew up with the "experience" part, and never questioned it. Many don't get that part, and in the long run become bored. It is what you make of it, good or bad. As for the business part...I've said it before...the "industry" is lost and continues to chase it's tail, and, unfortunately the sport suffers. It, the industry, won't be saved by the next float, or 5 figure rod, or exotic destination. And as for the Sport, well it never needed a "savior", just the respect and dedication that it deserves. 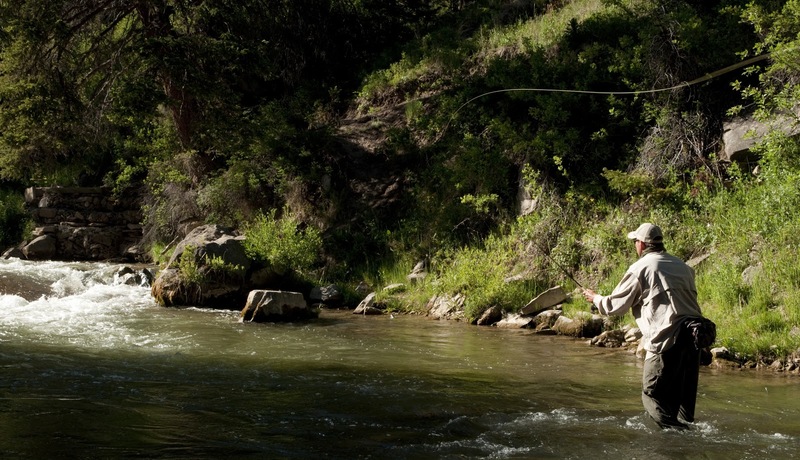 Those of us that know what Fly Fishing is, also know what it is not.